Hooray for secret pajamas! I just finished making my first Hemlock tee and I’m not loving it on me, so maybe I need to add a skirt. that might do the trick! i think a little shaping through the bust helps too. Your alterations created a perfect garment for you. Not everyone can successfully wear elastic at the waist but you look marvelous! thank you! i could wear this dress every day! That is so cute…And absolutely secret pajamas, huzzah! I know what you mean, I’ve seen those rayon knits at our Joann’s and fallen once or twice… But the price does make me choke…. i nearly have a laughing fit every time i look at their prices! it’s absolute robbery! I love this!! I could use more secret pajamas in my life and this looks like a perfect everyday dress. We have similar figures, so I’m really considering giving this a try. Thanks for sharing all of the drafting and construction details! i hope you do! sometimes i make a dress that i think will be “everyday wearable” and it turns out not to be… this one definitely is! I totally making one too! Thanks for the tutorial!! Super cute! Every girl needs some “secret pajamas”! I love it, and definitely agree with needing ‘secret pyjamas’ in your wardrobe! This is such a great dress! 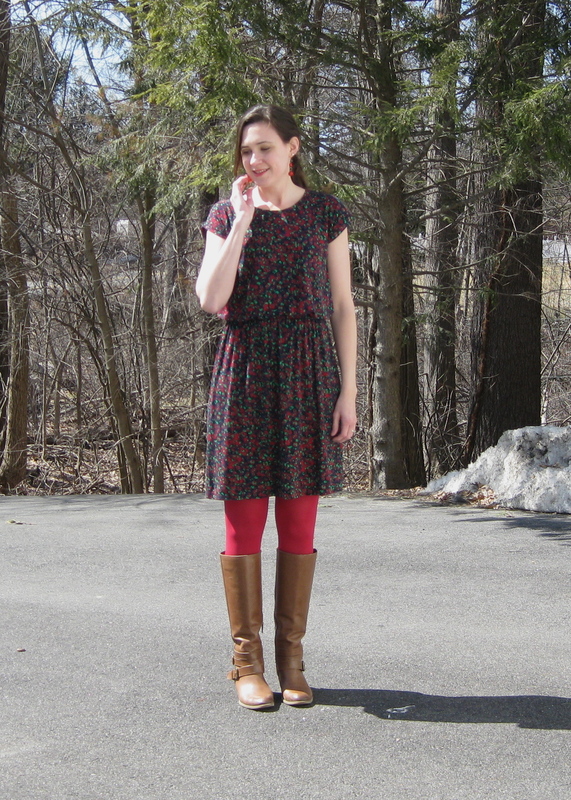 I tried the Hemlock tee earlier this year, and it was not super flattering on me, but I love your dress version! Thanks for explaining how you did it too–it’s going on my to-sew list. Goodness, who doesn’t love cute AND easy! Adorable dress – enjoy wearing it! thank you! it’s already in frequent rotation! I love the dress. I like to grab Joann’s knits when they are on sale and they have one of the 15% or 25% off everything coupons. I don’t like to pay full price for fabric. thank you! if their regular prices were competitive i wouldn’t mind so much… at least i have other fabric stores around! What a great hack! 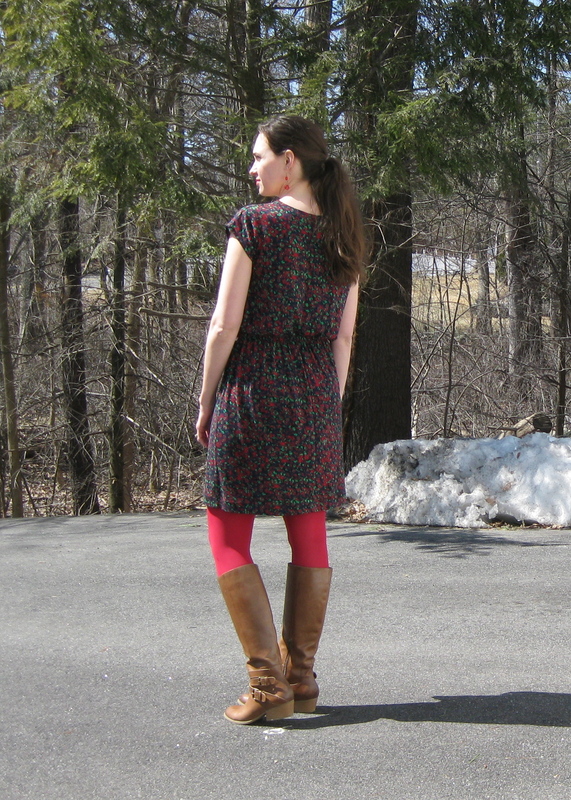 How awesome to take a free pattern and make something you want to wear every day! I’ve started working from home a couple of days a week and I could use a few of these instead of my usual work-at-home sweats. thanks 🙂 it’s definitely a step up from sweats, but every bit as comfy–love that! I love it! The shape is so flattering. I could see making a whole slew of these for summer. I just bought a rayon knit from joanns- with coupon of course. i will most definitely have more of these dresses soon! you could probably even get away with a rayon challis, it’s plenty roomy. I love it! The perfect comfy and pretty everyday Spring dress. 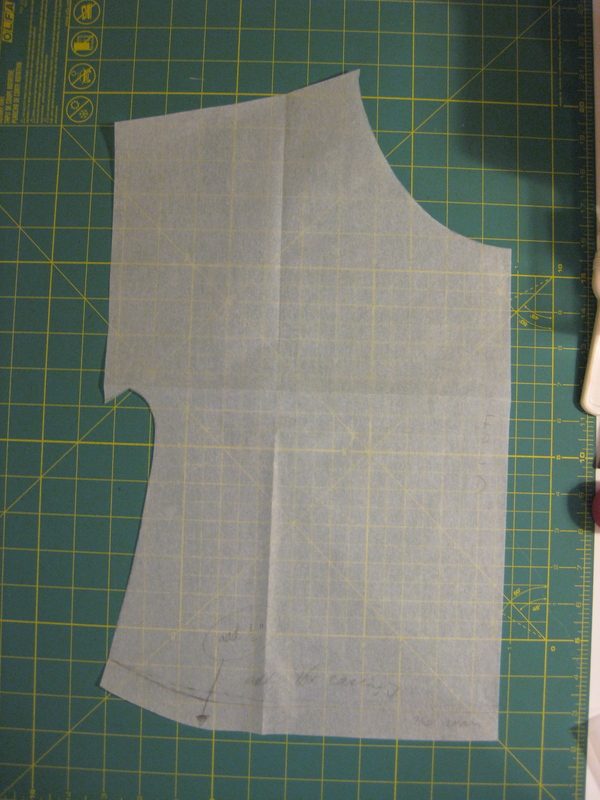 I absolutely love dresses like this, and while I keep trying to make them they keep coming out too formal or stuffy. Yours is just perfect!